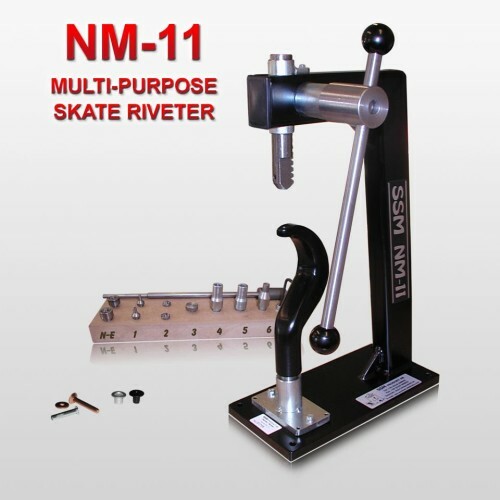 With NM-11 and different tool sets you can attach tube rivets, copper rivets, eyelets and figure skating hooks, remove tube rivets and eyelets and stretch skate boots. You can also repair ski boots and the NM-11 is also now being used in support of prosthetics. Prices vary slightly with different hooks (skates, Ski boots, Prosthetics) Contact SSM of NA Rep for details.